A high quality chrome towel rack which presents towels neatly and attractively. 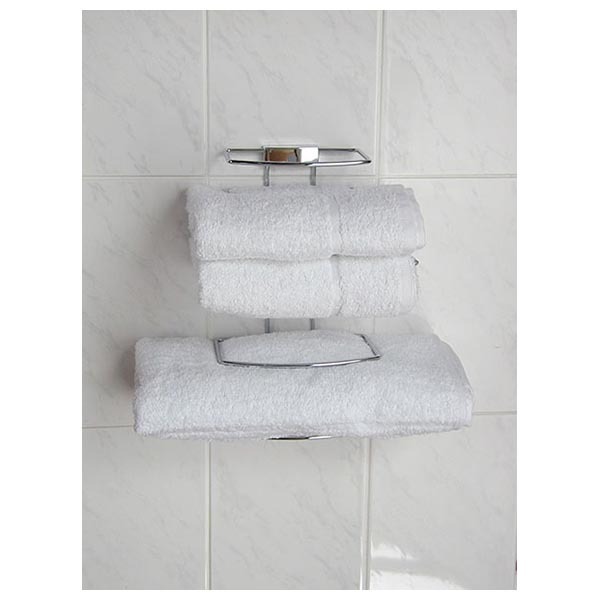 Guests tend to take only the towels they actually use, thus saving on laundry costs. Four Towel size. 290mm high x 185mm wide x 120mm deep.